Masking tape art murals inspire both the artist as well as the person viewing the art. Many school hallways are empty and uninspiring, especially in the higher grades which often lack student art work. 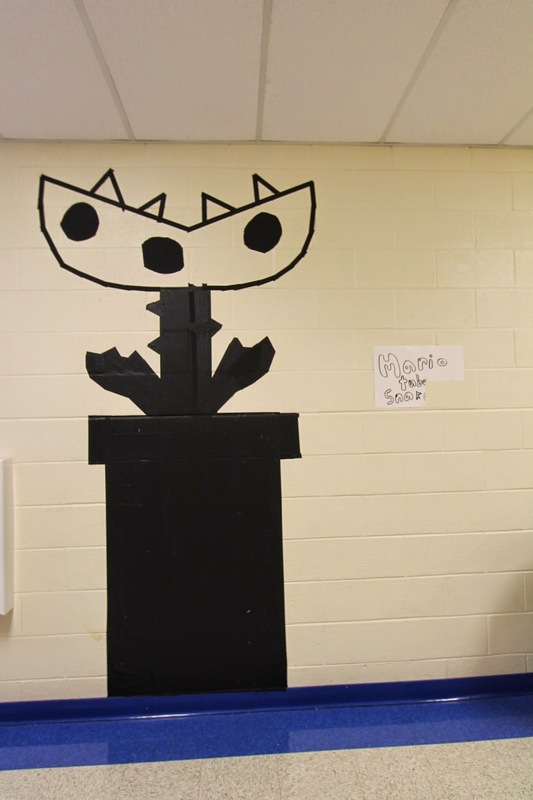 Clearly, school administrators are hesitant to put up permanent student art, but what about a large scale art installation that isn’t permanent? Something along the lines of masking tape art murals? Thankfully, this idea is starting to blossom, and students and teachers are adding color and spirit to their hallways by putting rolls of colorful masking tape into the hands of students and then giving them the go ahead to unleash their creativity. The results are nothing short of amazing! The Collingswood Middle School is leading the charge and putting big rolls of colorful tape into the hands of the student body. But don’t go thinking that this is all fun and games. There is a whole lot of learning taking place as well! Think about project planning, design and layout. The students studied the art of Buff Diss to get their inspiration, and then they went to work on those blank canvases. The students created some pretty impressive masking tape art murals, and learned a lot in the process. 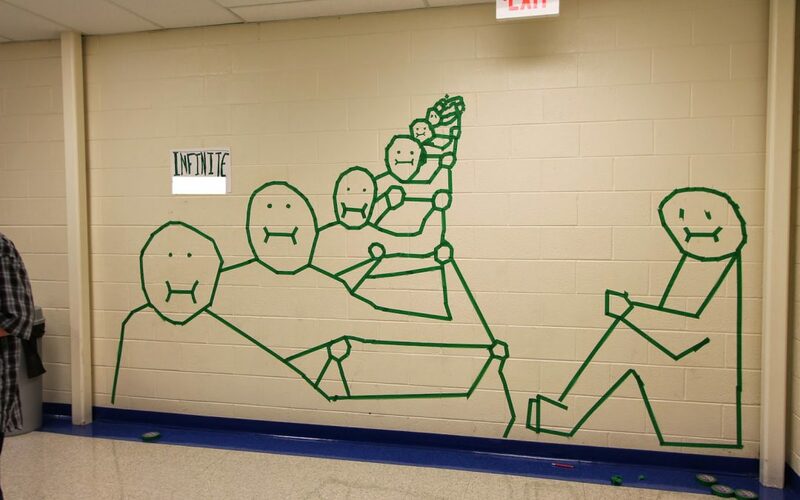 Learn more about the Collingswood Middle School tape mural project here. Check out our post, Masking Tape Graffiti, to see more about this artistic application for masking tape, including the amazing work of Buff Diss. There seems to be no end to the artistic possibilities with masking tape. 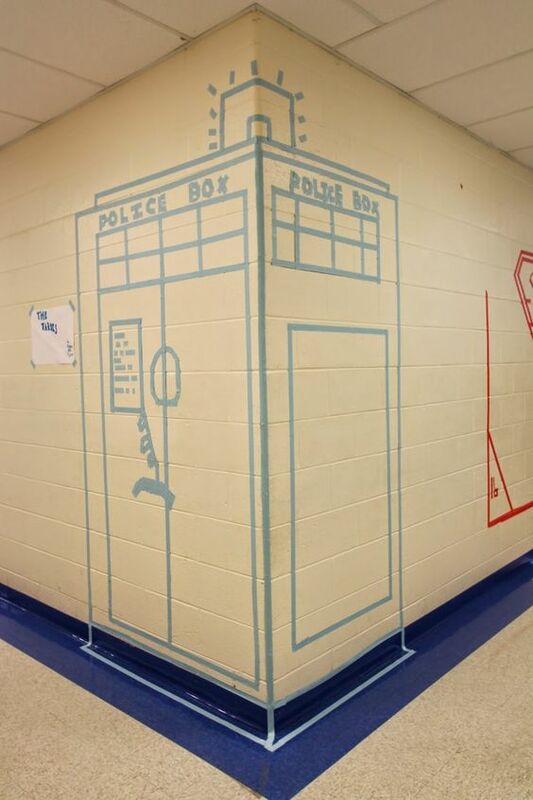 I am inspired to see creative educators who are putting masking tape to use as a medium that students can use to “paint” the halls so to speak. Their elaborate masking tape art murals are amazing. I hope that this post inspires your creativity, and I look forward to seeing your murals using colorful BAM! Tape™ masking tape.